I just bought this gorgeous 4 Seasons of Embroidery pattern over on The Purl Bee for a top secret Christmas gift. I can’t wait to get it! 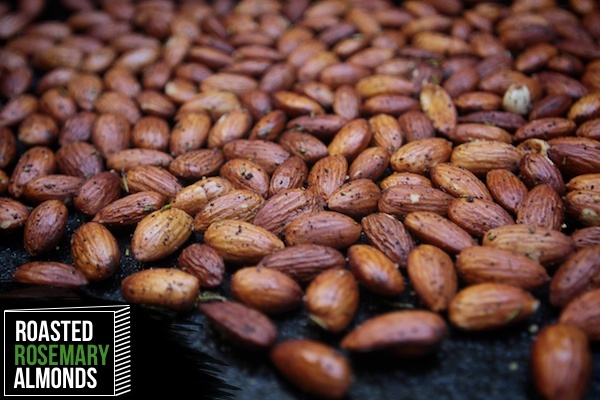 I’ve got to get on these amazing looking Roasted Rosemary Almonds from Shutterbean immediately. According to a new study led by Florida State University’s evolutionary anthropologist Dean Falk, “portions of Albert Einstein’s brain have been found to be unlike those of most people and could be related to his extraordinary cognitive abilities.” This article, published in the Huffington Post last week, talks in depth about how specific cortices of Einstein’s brain may have “provided the neurological underpinnings for some of his visuospatial and mathematical abilities.” They also get into the nature vs. nurture debate when it comes to Einstein’s extraordinary intelligence. Super interesting, definitely worth a read. You have to watch this video by Chris Hardwick and Mike Phirman called Gerberms (Yer Gervin Mah). It’s an ode to the Ermahgerd meme that went viral in March. And hey, there is even an appearance by the Swedish Chef and Hayley Williams of Paramore! I know Halloween is long over but I’m still not done looking at the 50 Best Halloween Costumes of 2012, according to BuzzFeed. Super crafty! You want to read some real talk? You must check out Deadspin’s Haters Guide to the Williams Sonoma Catalog. Hiiiiiilarious!